But the good news I got to go without the kiddo so I had time to browse and think. I found these deals you need to know about! 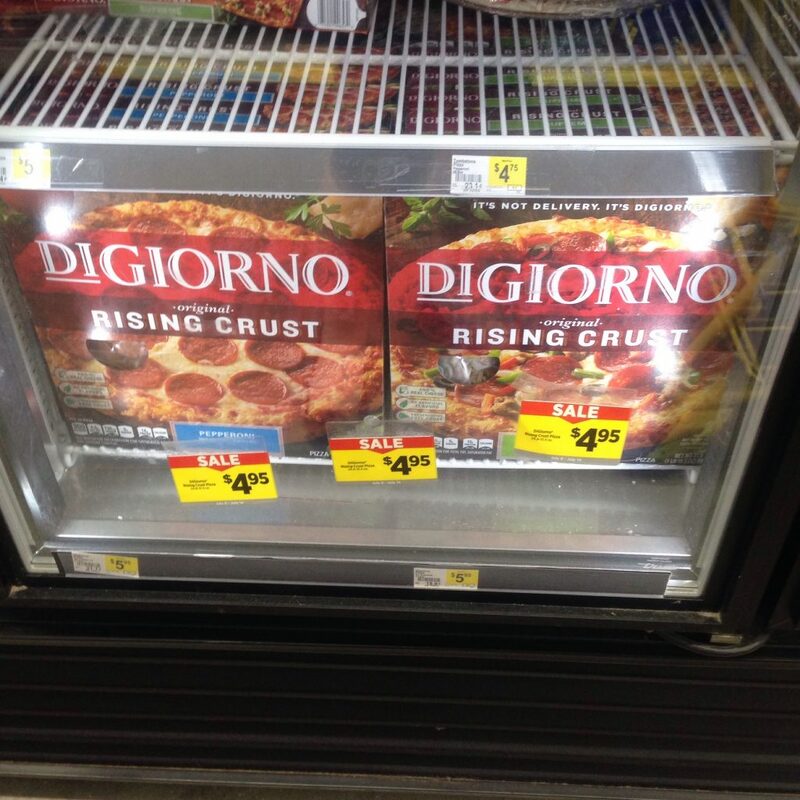 Ok, we know that the $6.00 off when you buy any three (3) DIGIORNO® Pizzas, 10.6 oz or larger coupon will not go away. It’s also available as a Dollar General Digital Coupon if you’ve used all your print copies. =$8.85 for 3 – $2.95 each!!! 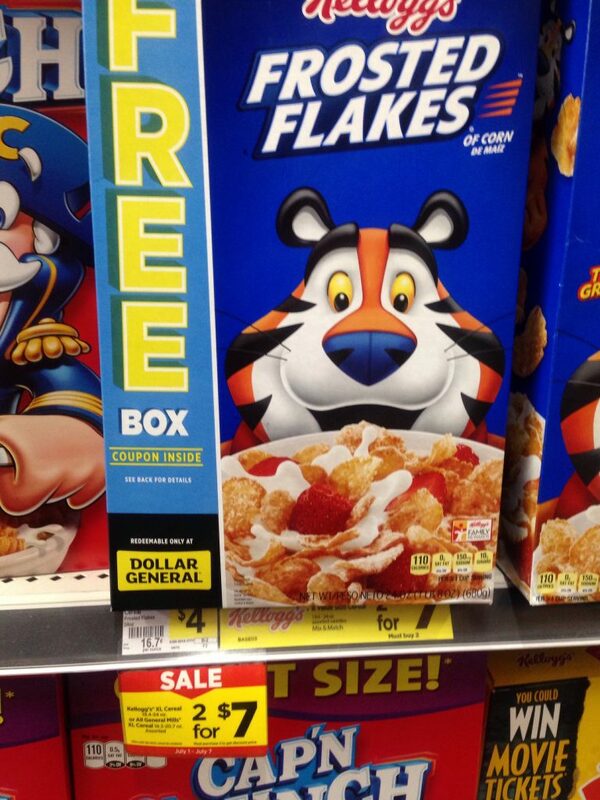 Look for the Kellogg’s XL Cereal boxes that are specially marked with a coupon with a FREE box coupon! (The 2/$7 sale actually ended yesterday – sorry for the outdated picture – BUT you can still score a deal if you can find the boxes with the FREE coupon!) The DG coupon is only good once and each rebate is only valid once, so mix and match to the rebate offers. You can either get TWO Frosted Flakes and use the $1/2 coupon and Frosted Flakes rebate OR get ONE Apple Jacks and ONE Corn Pops to use the coupon and redeem the rebates an Apple Jacks and Corn Pops. =$6.00 for 2 XL boxes AND you’ll have TWO coupons for FREE cereal later! 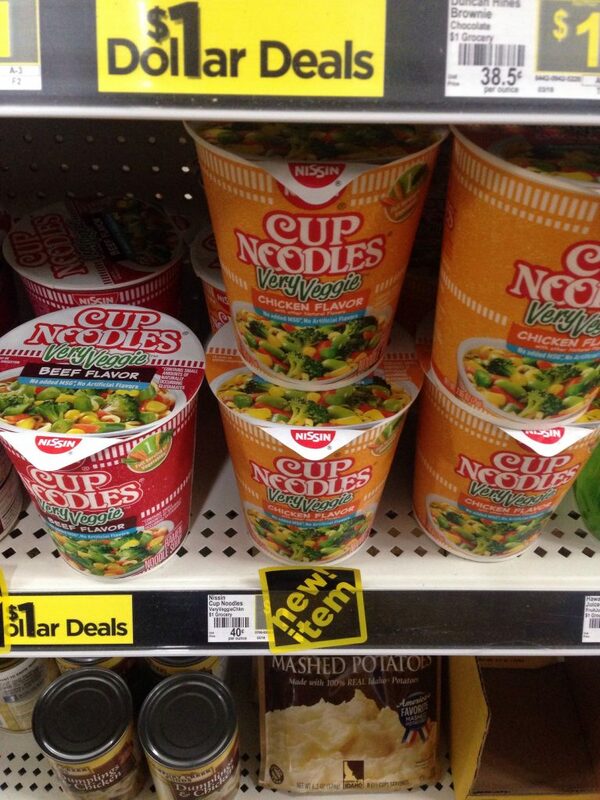 =$2.68 for 2 – $1.34 each!